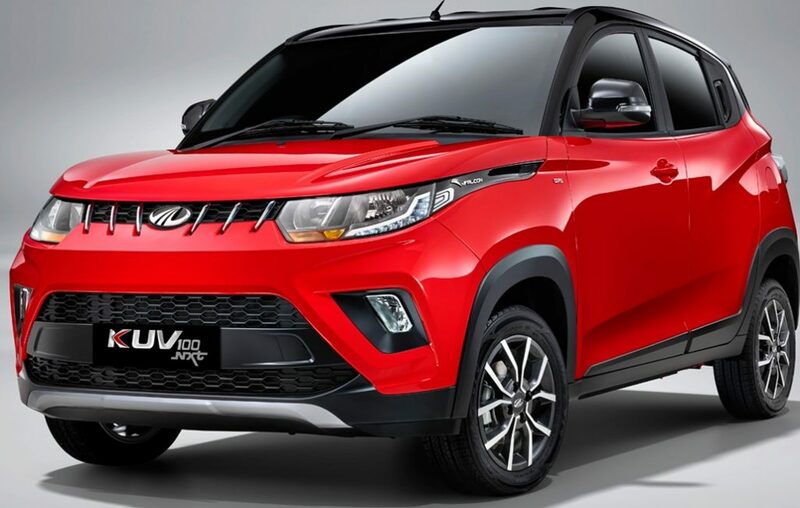 2018 Mahindra KUV100 Launched: KUV100 face-lift was recently launched in India for INR 4.39 lakh. Changes are now highly visible as they bring a refreshed front fascia through tiger claw grille inserts, all-new fog lamp housing, better air dam area and newly designed headlights. 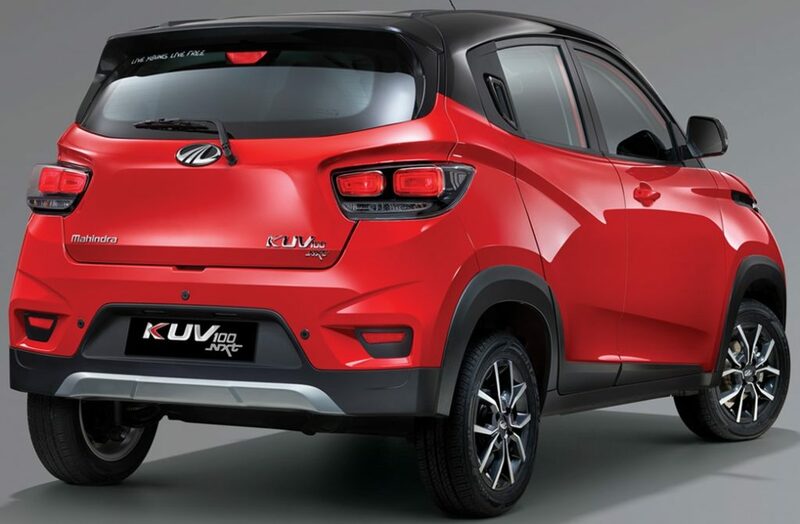 The updated model has been christened as ‘KUV100 NXT’. Apart from these changes, buyers will get clear lens taillights, redesigned wing mirrors and all-new machine finished alloy wheels. 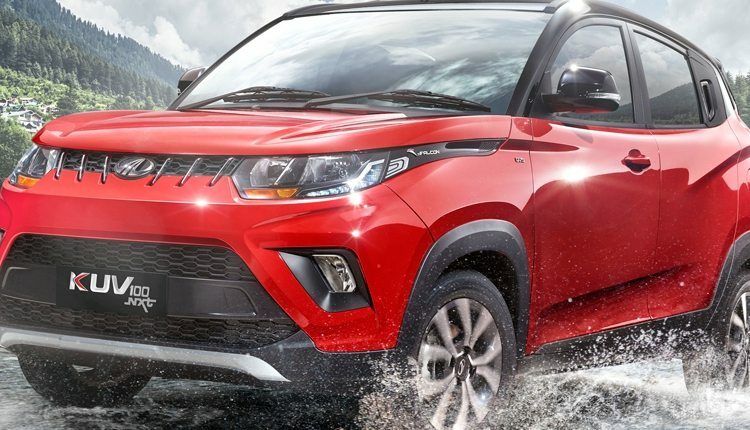 Mahindra updated their front and rear skid plate design for even better mini SUV appeal. The same brushed silver appeal from skid plates can be seen within interior insert while almost all things stay black on the inside. 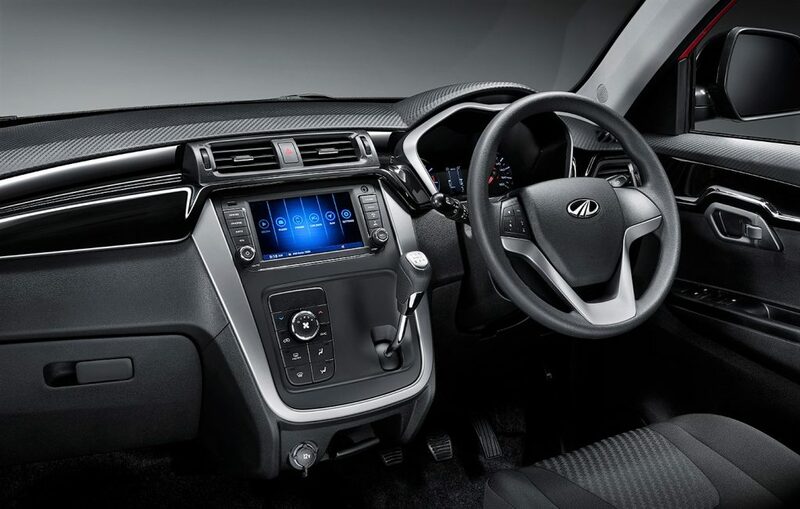 Top spec Mahindra KUV100 NXT comes with 7 inch touchscreen infotainment system, ABS with EBD, dual airbags, dual tone paint finish and some class leading passenger convenience features. Apart from these, there is no change in the way 2017 KUV100 drives in comparison to the older version. Mahindra is using tried and tested 1.2L, all aluminum petrol engine producing 82 BHP and 115 Nm of torque. Diesel power, on the other hand, stays healthy at 77 BHP and 190 Nm. Both engines are 3-cylinder units from their mFalcon series. KUV100 seems growing good in terms of overall styling and feature list. 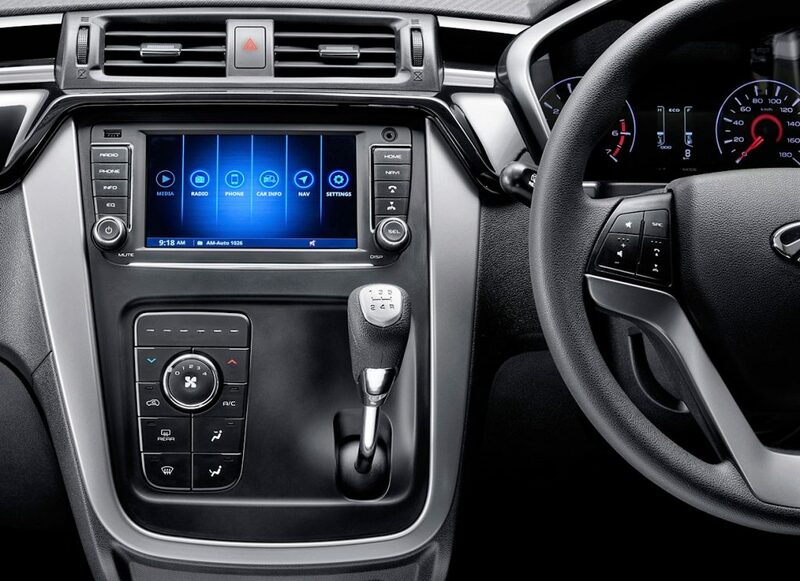 Both the engine are equipped with a 5-speed manual transmission.